The Board of Education is comprised of seven members elected by Niles Township citizens for a period of four years. A Board member receives no salary and may seek re-election to an unlimited number of terms. Officers are elected by the Board each November. The Board is charged with setting educational goals for the district and assuring that the superintendent, administration and teachers pursue those goals. In doing so, the Board develops and implements policies, hires staff members, authorizes expenditures, approves curriculum and takes other actions to provide quality education in the Niles Township High Schools. 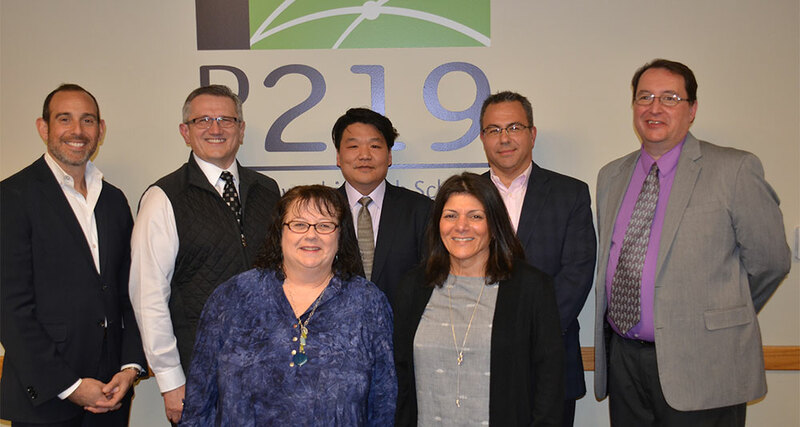 The Board encourages community members to attend its public meetings and to offer suggestions on how District 219 can better meet its goal of improving the academic achievement of Niles North and Niles West by improving the academic achievement of every student. All board members can be contacted through a Board of Education group e-mail. The address is: board@d219.org (copy and paste the email address in your preferred email client). Please be advised that e-mails sent to the Board are part of the public record and therefore may be subject to the Freedom of Information Act. As the Board's function is primarily policy making, questions about specific school functions or issues should be directed to the teacher or administrator closest to the situation.